Celebrating their 25th Anniversary in show business, iconic R&B vocal group Boyz II Men return with their new album Under the Streetlight. 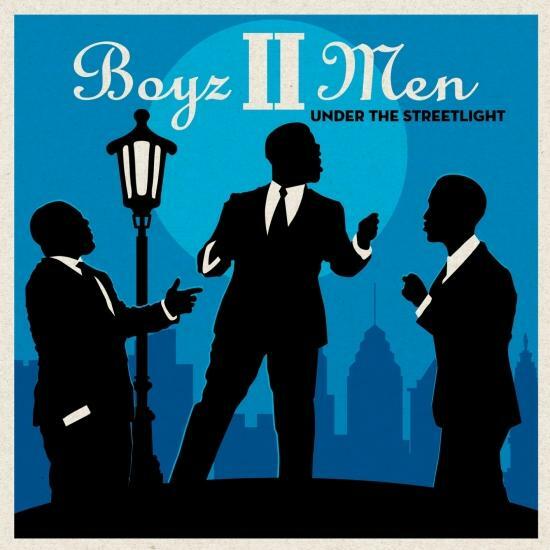 A personal selection of timeless songs, Under the Streetlight showcases four-time Grammy winners Boyz II Men putting their spin on classics such as "Why Do Fools Fall in Love," (Frankie Lymon & The Teenagers), "Stay" (Maurice Williams & the Zodiacs) and "I Only Have Eyes for You" (The Flamingos) along with an original composition, "Ladies Man." The album features Olivier Award Winner Amber Riley (Glee, London's Dreamgirls), ten time Grammy winners Take Six plus multi-platinum R&B artist Brian McKnight who joins Boyz II Men on three songs. Fresh off their sold-out tour with New Kids on the Block and Paula Abdul, fans can catch Boyz II Men during their ongoing residency at the famed Mirage in Las Vegas and on their global tour.